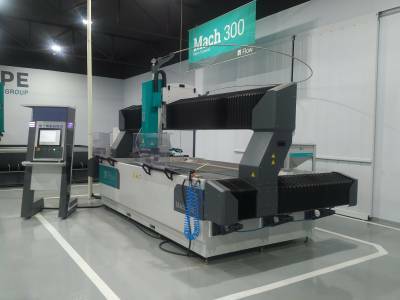 The Mach 300 is a 3m x 2m waterjet machine with advanced features for operators who have a focus on heavy gauge steel fabrication. 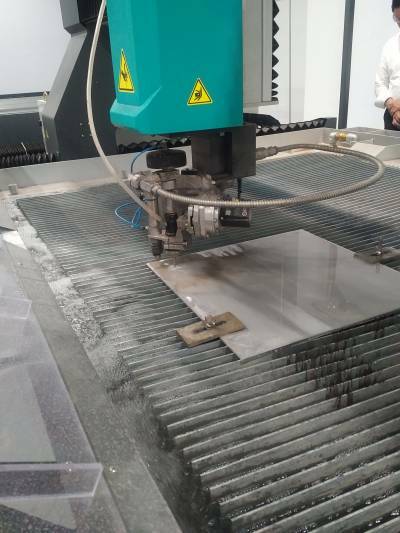 Built as an all-in-one construction with a workpiece rating of 1425kg / square meter and a 305mm “Z axis” the Mach 300 accommodates heavy gauge plates with ease. 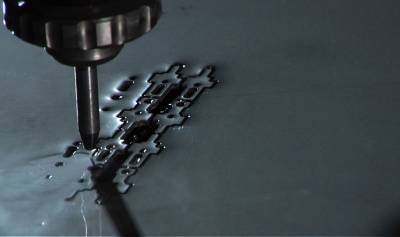 Mach 300 is available with Flow’s patented Dynamic waterjet and Hyperjet 87,000psi ultra high pressure waterjet for operators who are operating with limited timeframes and the need to produce more parts per hour. 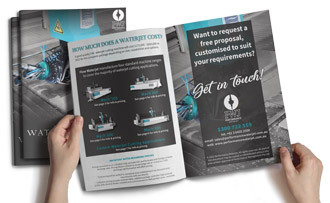 Purpose-built and production focused, bringing a new kind of ROI to the waterjet world. 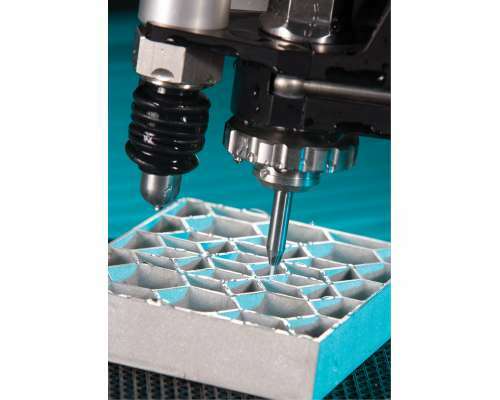 Advanced Flow technology, M300 creates a robust foundation for cutting performance. Built with a robust structure designed to withstand constant heavy-duty use, Mach 300 systems are engineered from high grade tubular steel to enable workpiece loads of up to 1425kg per square meter of table area. The Mach 300 features a Paser 4 cutting head which delivers maximum cutting speed with the lowest possible operating cost. 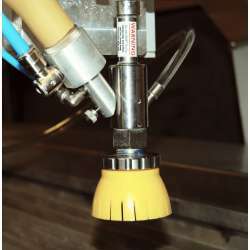 Mach 300 systems are also available with a Dynamic Head. 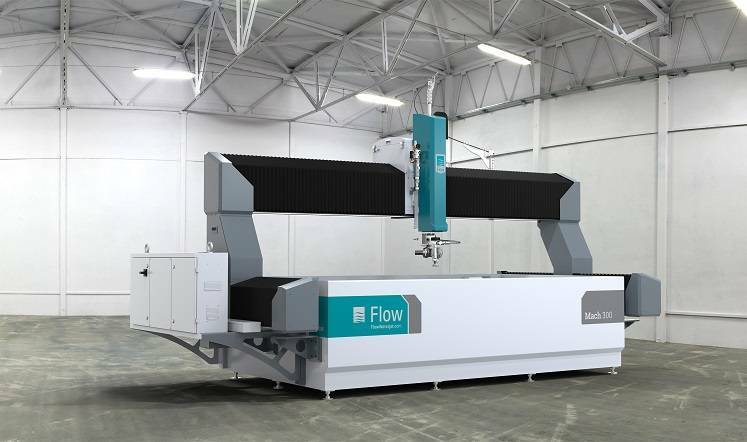 Flow’s Dynamic Waterjet with Active Tolerance Control uses SmartStream technology and tilts the waterjet head into the cut direction to eliminate stream lag. 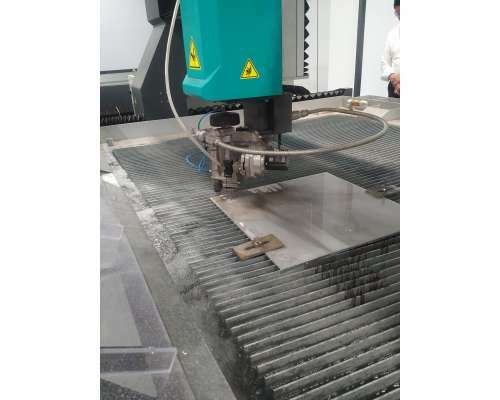 The result is the ability to produce accurate parts 2 – 4 times faster than a conventional waterjet system. 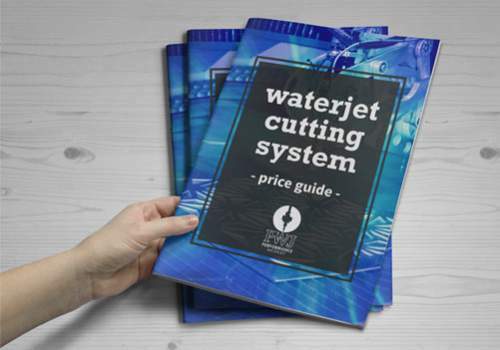 All waterjets exhibit stream lag and taper when cutting through material. 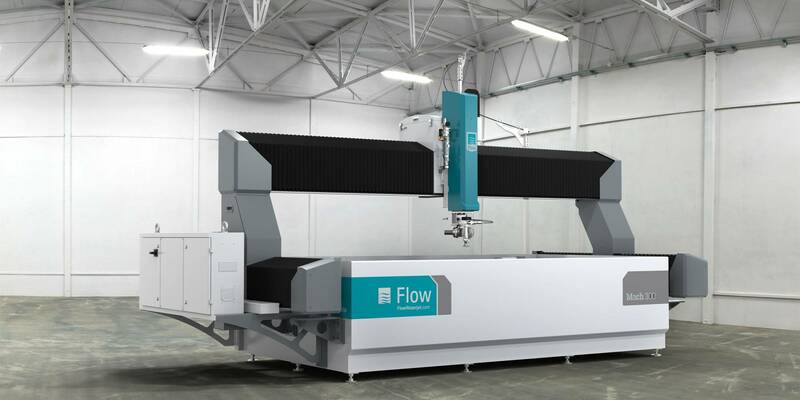 Flow’s SmartStream technology uses advanced cutting modelling to control an articulated wrist and automatically tilt the cutting head to offset stream lag and taper. 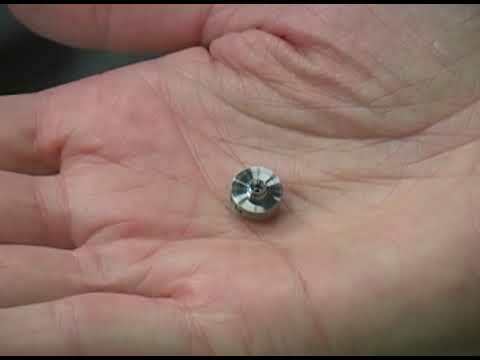 The result is the ability to cut more parts, more accurately in less time. Flow’s Hyplex Prime pump represents the next generation of energy efficient, direct drive ultra high pressure waterjet pumps. 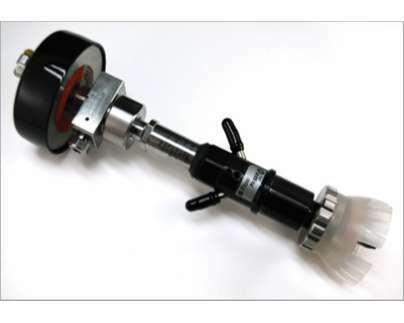 The Hyplex’s direct drive delivers superior ratio of input energy to cutting output. 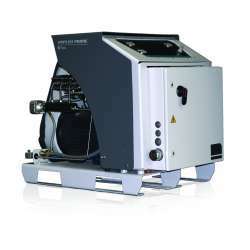 Widely recognised as the most dependable technology in the waterjet marketplace, Flow’s Ultrajet intensifier is used in every industry which demands 24/7 dependability. 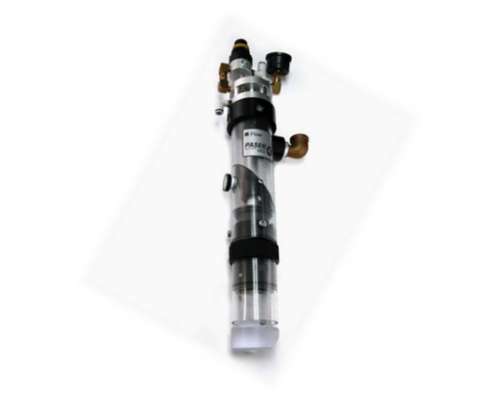 With features including ceramic plungers and fully electronic pressure control the Flow intensifier sets the standard for high output and dependability. 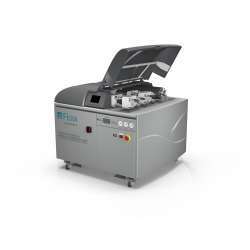 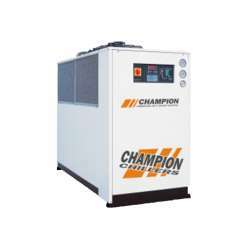 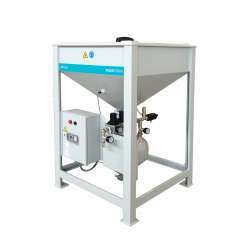 The Ultrajet is available in 50 and 100 HP models. 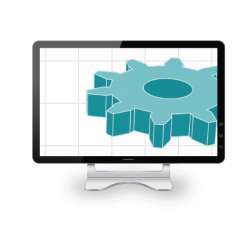 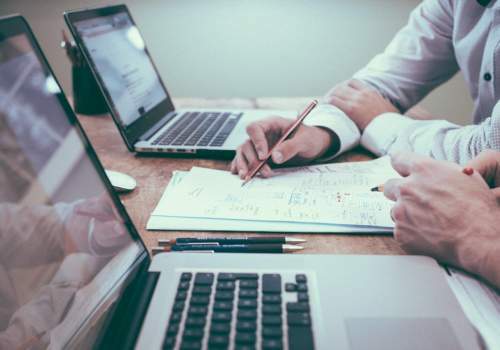 The software is the magic behind the Mach 200 machine—your parts cut quickly and simply. 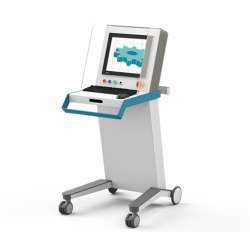 Take your control console with you as you work! 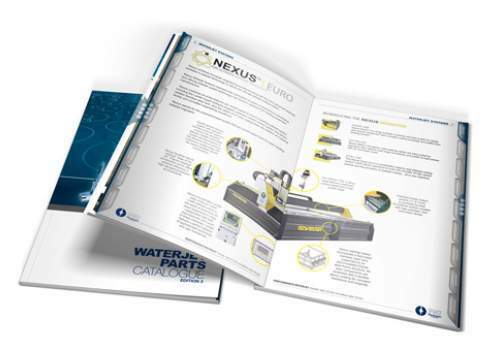 The Mach 300 has a roll around console with a 17” screen which gives the flexibility to move freely about your waterjet as required.